My good friend Kim’s daughter, is graduating High School in a few days. Her name is Katie and she is brilliant, beautiful and super sweet. Katie received a full scholarship to USF and she deserves every bit of it. The school’s colors are Green an Gold, so I colored the mortar board accordingly. And I drew a little diploma in the Yeti’s hand. 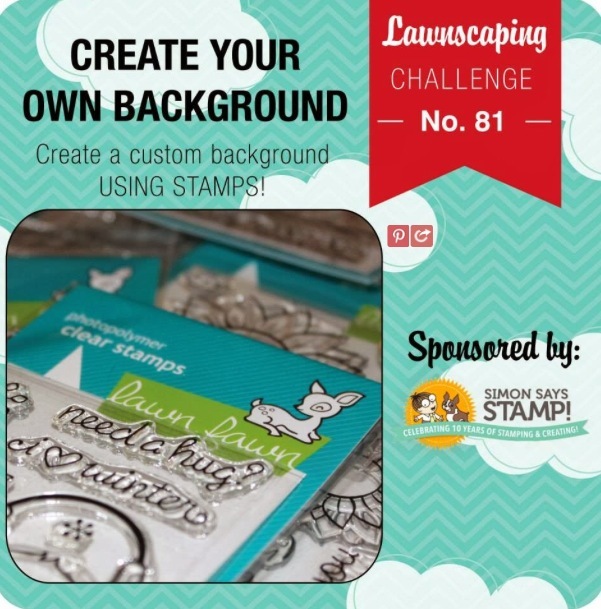 For the background of the card I used the mortar board from Lawn Fawn: Hats Off to You stamp set. The Yeti is mounted on a green circle that is mounted on top of two die cut stars. For further definition Ilined the edge of each star point with a deep green marker. Congrats to all of the soon to be grads and to all of their happy, moms and dads! 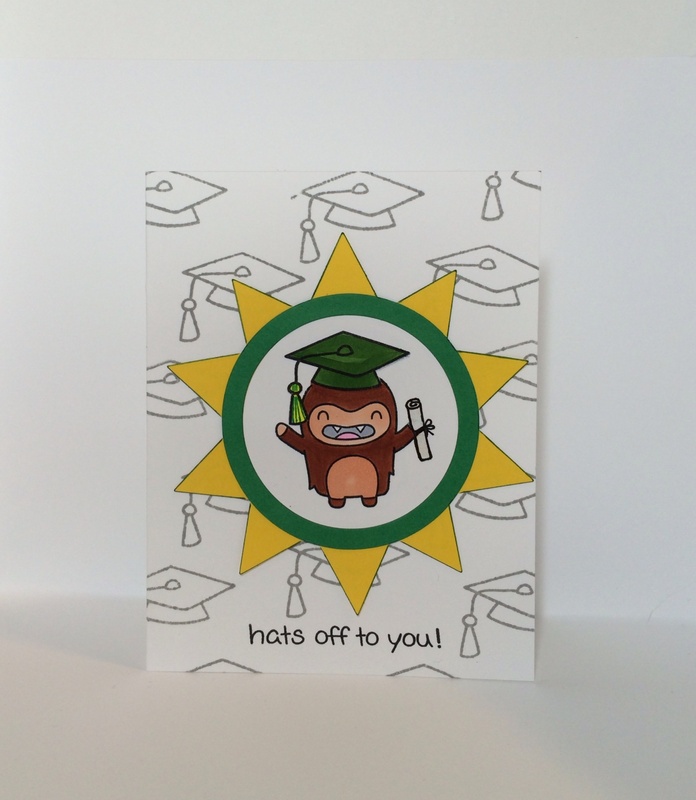 Posted in Any Occasion and tagged hand stamped gradutation, Handmade Graduation card, handstamped graduation, Lawn Fawn Yeti, Lawn Fawn Yeti set go, Yeti Set Go. Bookmark the permalink.